Dumping of pet waste bags down a neighborhood storm drain causes an expensive problem for Canton. I first heard about the street flooding problem from Canton DPW Superintendent, Mike Trotta, as we were wrapping up a meeting of the Neponset Stormwater Partnership. After he relayed this unbelievable story, I suggested that we publicize it, and offered to write it up for him. I could never have predicted that the story of a clogged storm drain would have caused so much attention, but I’m glad that it did. Hopefully, a lot more people now know how storm drains work. First and foremost, storm drains are not trash cans. They are in place to convey water off of the roads and into local waterways. Unfortunately, it’s not only water that makes its way into our streams and ponds. Pollutants like oil, gasoline, ice melt, fertilizers, pesticides, dog waste, etc. also flow from roads into storm drains and into local water bodies. And most of this “stormwater” is untreated. NepRWA is committed to helping prevent stormwater pollution through regional partnerships (like the one with Canton), and through school programs, water testing, and advocacy. And while we have been very successful working with our municipal partners, we need the help of residents and business owners to help prevent stormwater pollution. 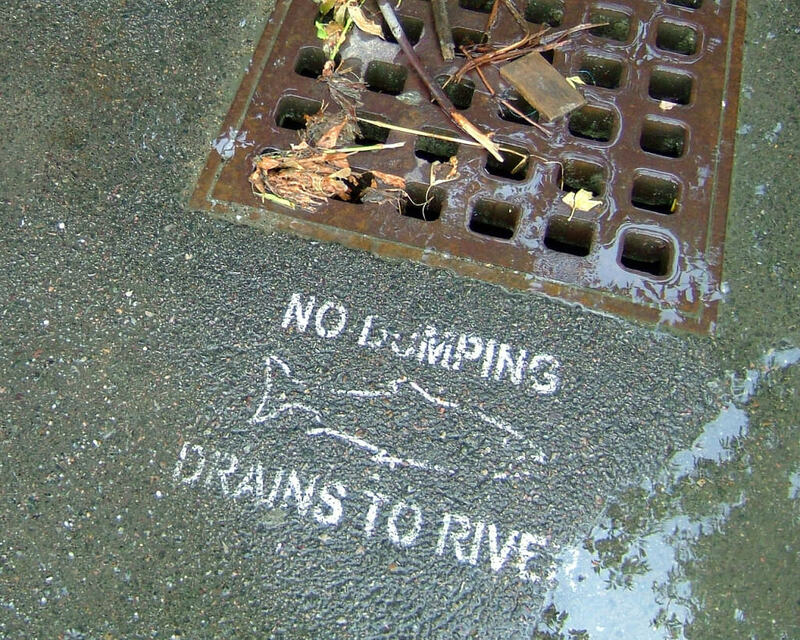 Learn more about preventing stormwater pollution. Nancy Fyler, Outreach & Education Director, May 2018. Thanks for sounding the alarm bells on this important issue. Disgusting as it may be, the act of saying nothing and increasing the chance of this happening again would be far worse. Keep up the good work.